Knocked-out teeth, a mouth wound, or a cracked tooth are all emergency situations that should have you headed to an emergency dentist immediately. 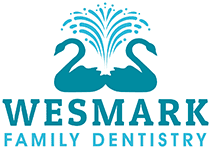 If you live in or near Sumter, South Carolina, visit Wesmark Family Dentistry. Our dental experts are here to take care of the emergency dental needs of everyone in your family. If you have a dental emergency, call the office closest to you, or use the convenient online booking system. An urgent care dentist treats dental and mouth injuries that need immediate attention. Dental emergencies are typically any situation in which you need to save a broken or knocked-out tooth. Coming to Wesmark Family Dentistry within 30 minutes of your mouth or tooth injury can mean the difference between saving and losing your tooth. When should I call an urgent care dentist? If you chip a tooth, but it doesn’t appear as if you may lose the tooth entirely, it may not be a dental emergency. That said, feel free to contact an experienced dentist at Wesmark Family Dentistry if you're concerned. They can explain how to take care of your tooth until you can make it into the office. Quick action is imperative for a dental emergency like a knocked-out tooth. Put off going to the dentist and there's a good chance you'll lose the tooth for good. To try and save the tooth, start by cleaning the injured tooth and the inside of your mouth. Swish the warm water around your mouth and rinse the tooth in warm water, being careful to avoid touching the tooth's roots. As you clean the tooth, hold it gently by the top, or crown. Never pick up your tooth from the root. Using light pressure, reposition the cleaned tooth in the empty socket in your gum. Close your mouth slowly. Hold the tooth in place with your fingers or gently bite down on it to help it stay in place until you can visit Wesmark Family Dentistry. Call the office right away, or have someone call for you who can explain the situation. If the tooth cannot go back into the empty socket, hold the tooth in your mouth next to your cheek or keep it in a glass of milk. The moisture will help prevent the roots from drying out. 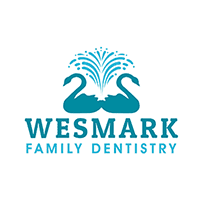 If you have a broken tooth, come to Wesmark Family Dentistry or book an appointment online or over the phone.